Thank you all for the constructive feedback regarding our Gameplay: Mission #1 video from last Saturday. Especially the comments about the automatic attachment of accessory equipment were stuck on our minds – despite the sunny Sunday weather – because it is an important topic for us as well. What we’re showing in our videos is not our final vision of a simulation, but rather the current development status. 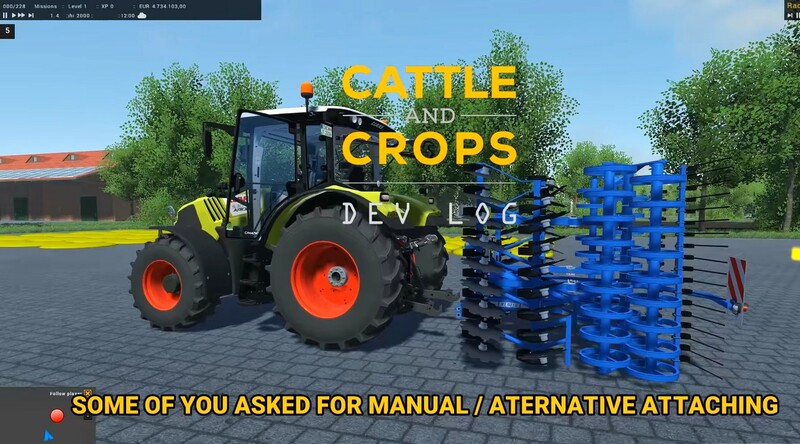 As you know, we want Cattle and Crops to be as close to reality as possible and improve the game continually with the help of your feedback.